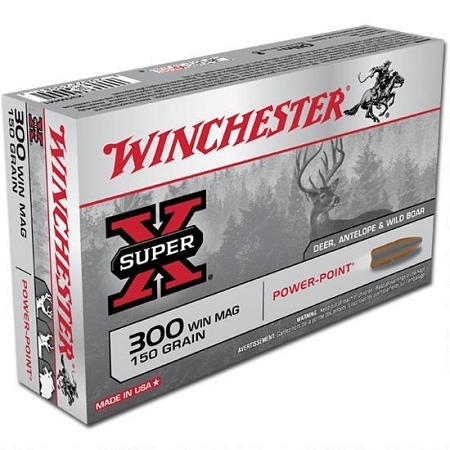 Super-X Power-Point ammunition offers a unique exposed soft nose jacketed bullet design that delivers maximum energy on target. Strategically placed notches around the jacket mouth improve upset performance and ensure uniform expansion for massive energy release. Use for hunting big game with thin or thick skin such as whitetail and mule deer, brown and black bear, antelope, elk, moose, and caribou.